It was a real pleasure to watch Gardening Australia over the weekend as Costa interviewed The Hon. Bob Hawke AC about his support to establish Landcare Australia in 1989, then followed up later in the program interviewing an amazing 84 year old ball of energy, Don Wilson of Clive Park Bushcare in Sydney and founder of Bushcare’s Major Day Out. 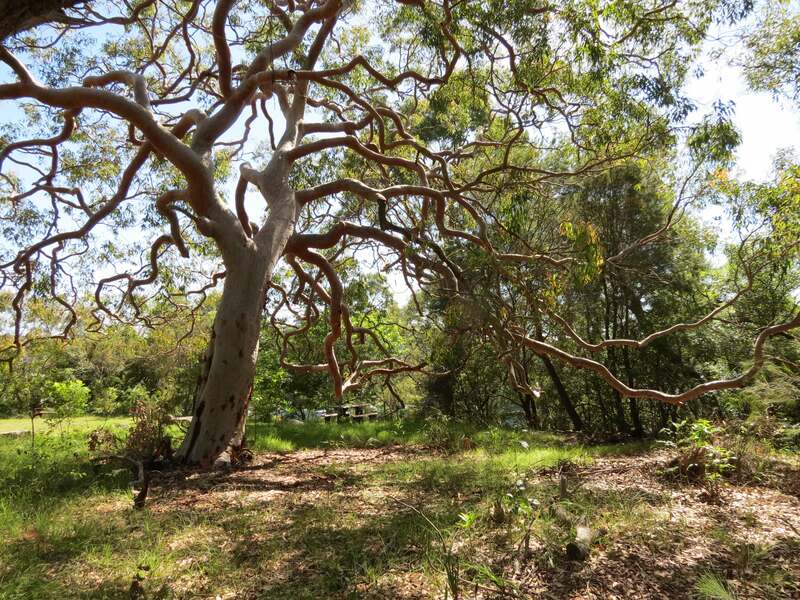 I met Don Wilson last year and visited Clive Park Bushcare. Don really is an inspiration. Not only is he out there pulling weeds … I hate Asparagus Fern too Don … he has also pulled together an amazing group of professionals who are behind the annual Bushcare’s Major Day Out. In 2014 BMDO has spread to every Australian state except NT with a record 58 events in Queensland. 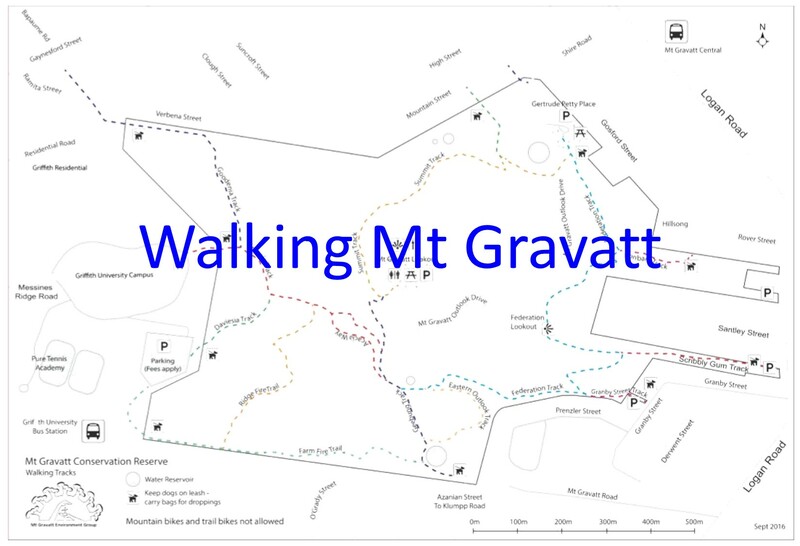 Mt Gravatt Environment Group was not involved this year however our 2013 Bushcare’s Major Day Out – Photography Workshop was a great success with participants really starting to see the bush in a different way. 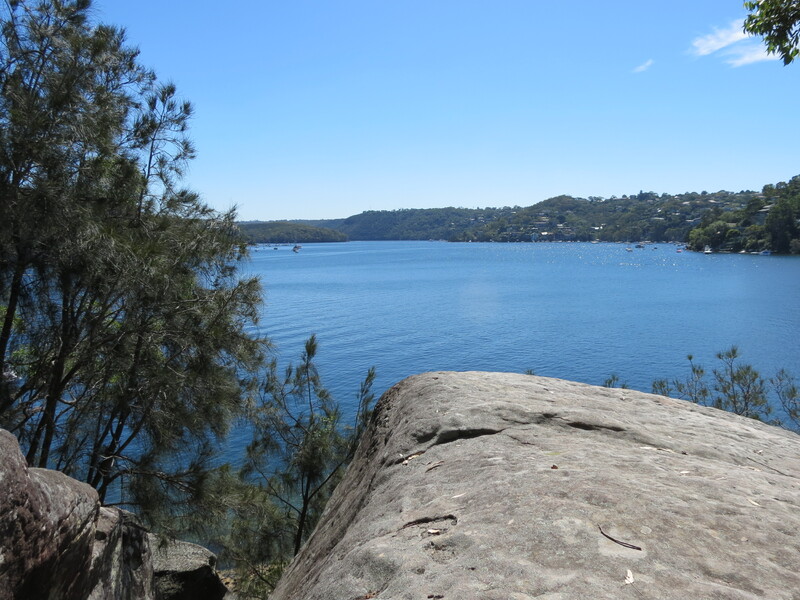 … it has some of the most beautiful picnic spots you will find in Sydney. Click on photo to fully appreciate this majestic tree. 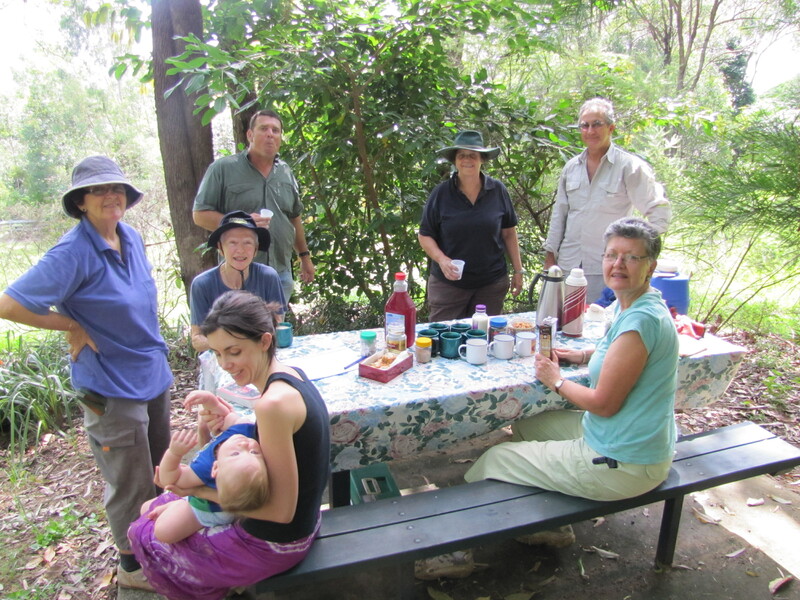 Two large pile of weeds have been removed so it is time for a cuppa with the Geutrude Petty Bushcare team. Around the table today are Judy, Ian, Sarah, Nancy, Brett, Morag, Susan and Mannix. It is always interesting to sit down with the team at Geutrude Petty. The range of experience around the table is extraordianary. Today the group included a retired business owner, an expert in breeding frogs, an envrionmental restoration professional, Meals on Wheels volunteers and a person who hiked into the Stinson wreck to clean up and carry out rubbish: a 35 kilometre treck climbng 1040 metres. Gertrude Petty restoration is creating an amazing picnic opportunity you normally only find in a national park outside the city. Our Australian wildflowers are often small and easily overlooked. Visit Gertrude Petty virtually any time of the year and you will find amazing flowers. 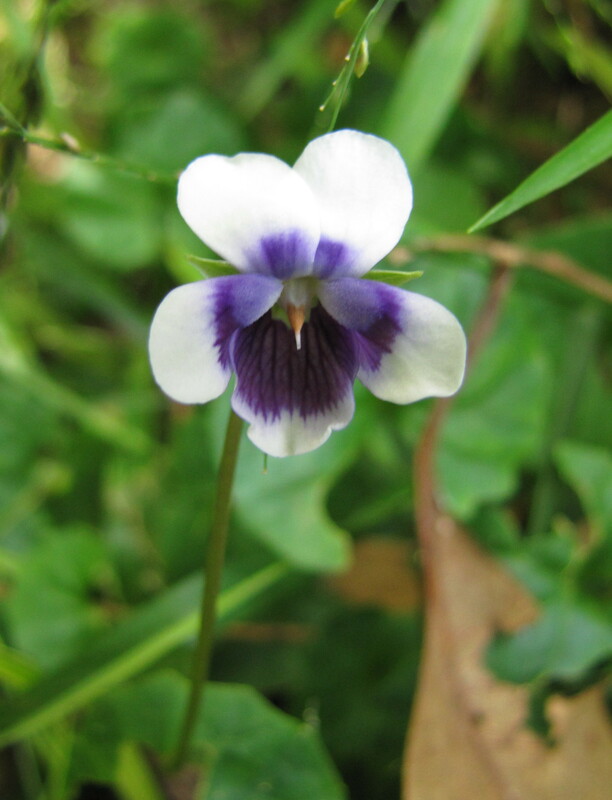 The Native or Ivy-leaf Violet Viola banksii are flowering at the moment. The Gertrude Petty team meets 8am to 10am last Saturday of each month and 3pm to 5pm every Wednesday. For details/contacts see 2011 MEG Calendar.